Sometimes life just takes time. Yesterday was one of those time taking days, and so, I am celebrating Wondrous Wednesday on Thursday. 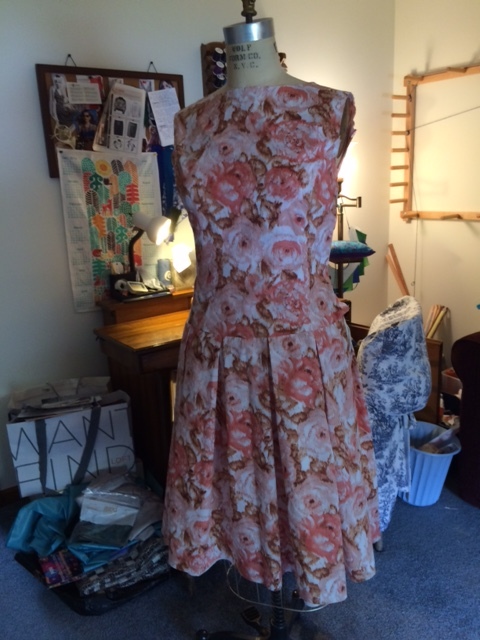 Short and sweet today–I have been creating a couple of Spring/Summer dresses for myself. 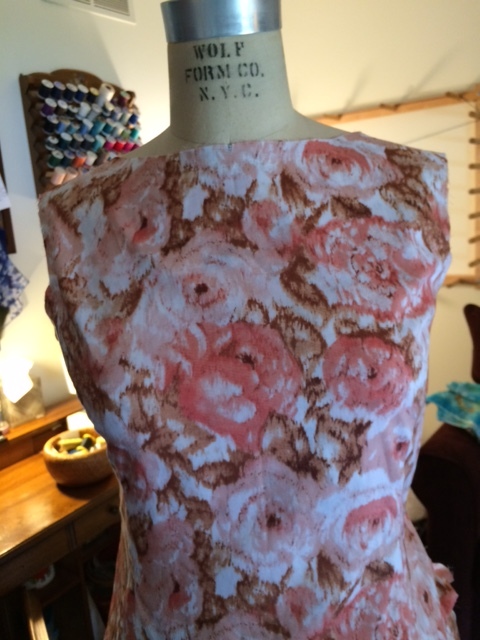 I am veering off my usual peacock color set and dabbling with a lovely rose print in ecru/tender pink/ and cinnamon. Mood Fabrics the home of this extraordinary soft Italian cotton. It is a dream for stitching, cutting, fitting, and I anticipate, for wearing! The garment is still in process but the photo gives you the general idea. The attractive fit and flare silhouette (the flare from box pleats) would flatter many women. I have an event on Saturday for which I’d love to wear this dress, but quite honestly, I would much rather take the time to complete it well and with beauty.